Originally the store front for artist William Lamb, Wm. Lamb & Son has rapidly expanded into a number of different product lines. From lamp shades, to iPhone cases, to coffee, to say their empire is spreading like wildfire would be an understatement. Recently, the lady behind the man was gracious enough to send up a couple of Wm. 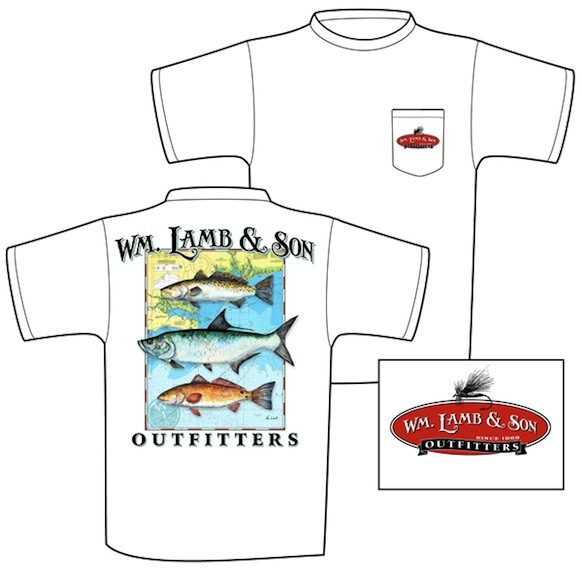 Lamb & Son t-shirts ($24) for us to check out. We like ’em, and think you will too. 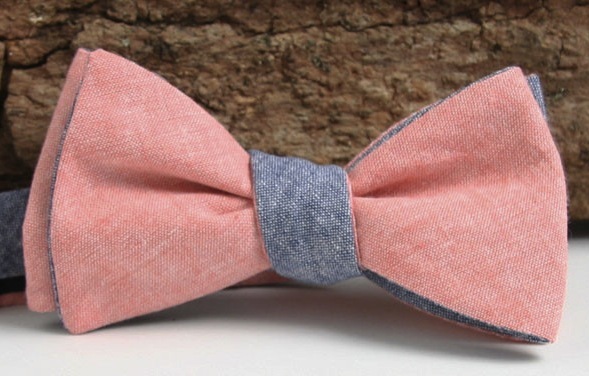 Classic Navy & Pink Chambray Bowtie by General Knot & Co.
Now that Spring is officially here, we have been bringing out some of our favorite warm weather fabrics from storage. The seersucker still has a week or so until it will be out in all of its glory, but we are all about breaking out some chambray this week. Now, thanks to the gang at General Knot & Co., we can integrate this lightweight fabric a bit more often than years past courtesy of their Classic Navy & Pink Chambray Bowtie ($68). Last month, we profiled the first custom shirt to ever make its way into our collection, the Campus Oxford from Ratio Clothing. Well, we’ve been so impressed with it that we’ve decided it is time to add another custom shirt from the Ratio line to our wardrobe, and, after a lot of thought, the decision has been made. 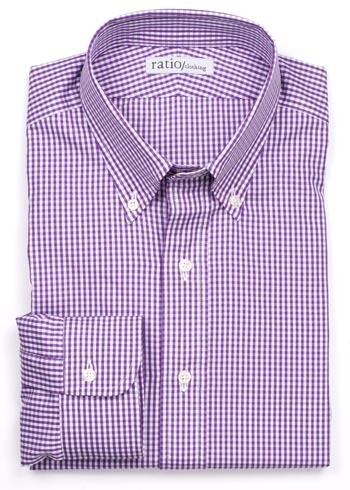 Our next order is going to be their Purple Mini-Gingham ($115*). It’s pretty well documented that we have an affinity for Go To Hell Pants. In fact, we are champing at the bit to break out a few pairs that have been hanging at the ready for the last few months. 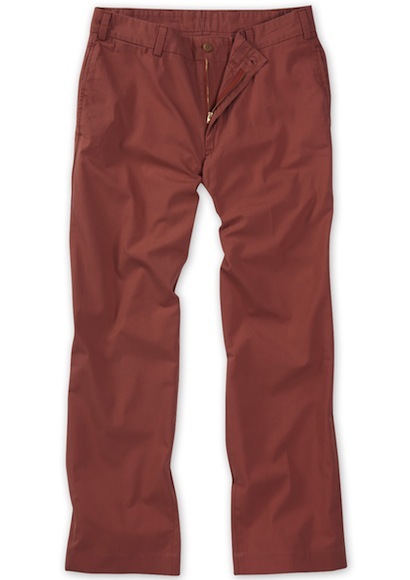 Of course, we know that there is a place and a time for such things, and we appreciate the fact that a few good pairs of Go To Heck Pants (Credit goes to our friend JRS over at Red Clay Soul for the terminology) are just as essential to any wardrobe. If you’ve been on the hunt for something a bit different than your standard khaki, but not quite as over the top as lime green, we think you’ll like the M2 Standard Fit Poplin Pants ($125) from Bills Khakis. 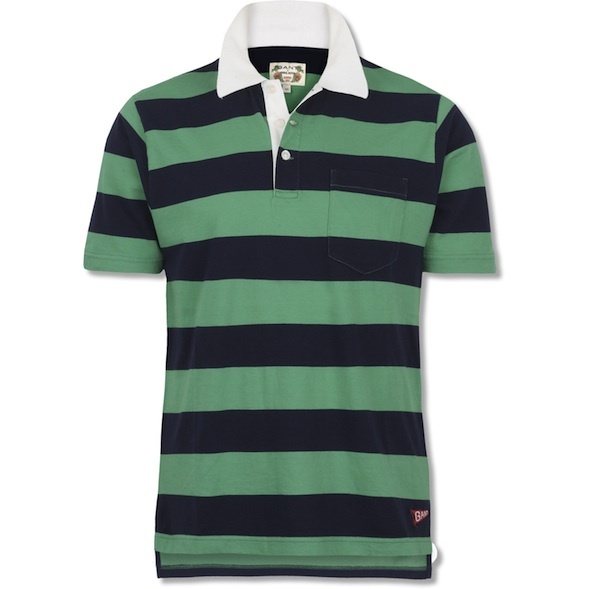 As much as we love a classic solid polo, you can only go with the basics for so long without needing a change. Of course, the next logical stop is stripes, and with countless options on the market, it isn’t too difficult to expand your collection in no time at all. One of our favorite striped polos this season comes from Gant, their Heritage Polo ($135) is a great way to add a new dimension to your polo rotation. Though runway season has come and gone, we still can’t help but laugh at some of the things we saw. Seriously, what are some of these designers thinking? Of course, there are some gems that are ready to hit the streets right away, and most of the pieces that caught our eye this year literally hit the street. 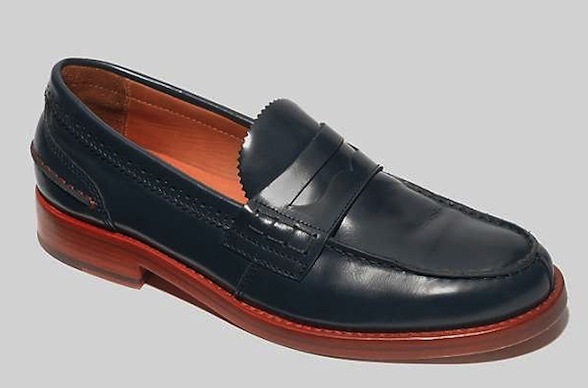 Straight from the runway, the aptly named Midnight Runway Penny Loafers by Tommy Hilfiger ($248) are definitely something we would love to have in our lineup. Though leather belts will always be in our regular rotation, we really enjoy breaking out the ribbon and knotted belts in the Spring and Summer. Sure, the look may be a bit more casual, but here in Annapolis it is an easy transition and one that many seem to make. 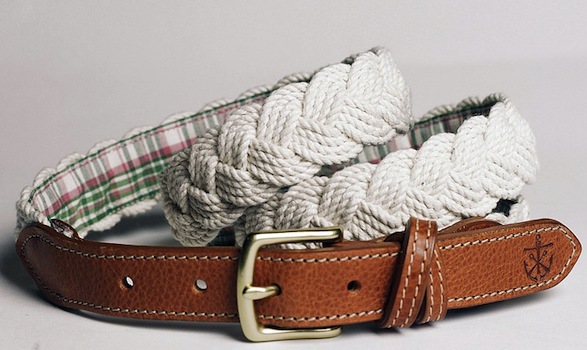 One of the most versatile Summer belts out there is a simple white sailors knot belt, and if you need a new one, look no further than the Brigg’s Capeside Docks Belt ($88) by Kiel James Patrick. Though we are still more than a month out from the Triple Crown, many of our friends up and down the East Coast are gearing up for everything from the Carolina Cup, to the Atlanta Steeplechase, to the Maryland Hunt Cup. Though most of them aren’t huge fans of the sport (just being honest here), each and every one of them is a fan of dressing up, sharing a couple of cocktails with friends, and enjoying all that mother nature has to offer. 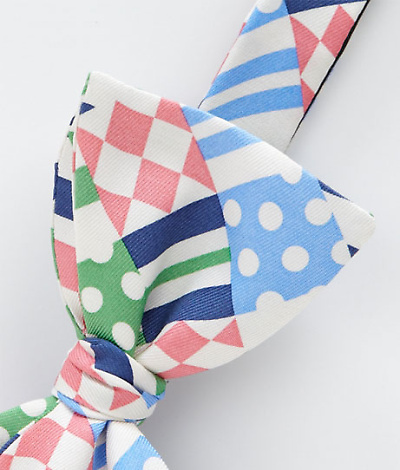 If you are in the same boat, and looking for a bowtie to complete your look for a day at the races, the Vineyard Vines Derby Silks Bow ($49.50) is a great choice. Every year, we get pretty bummed when we have to retire our boatshoes for the season. To be honest, that really isn’t the case when the winter boots get put away. In fact we are pretty excited that other than a pair of waxed canvas Maine hunting shoes, and the occasional appearance of desert boots, we won’t be wearing anything taller than wingtips for the foreseeable future. That being said, we were recently turned on to a pair of boatshoes made by a company that is virtually synonymous with boots, Frye. Their Sully Boat ($148) is a great addition to any boatshoe rotation. When it comes to style, we feel like someone’s personal ‘style’ goes far beyond the clothes they wear. It extends to the way they carry themselves, and on into their homes. No, we aren’t saying if you dress well we expect you to live in a huge mansion somewhere, but we would expect your habitat to reflect the same image as your clothes do. Just like clothing, the small things make all the difference, and if you are looking for a couple of small things to round out the look of your abode, take a look at the offerings from Izola. 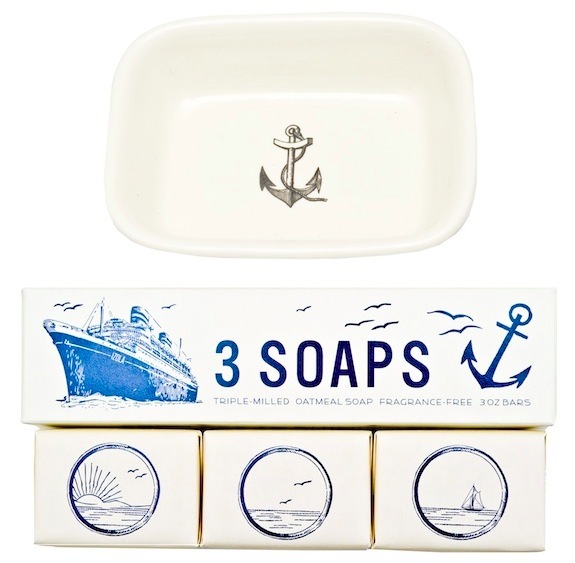 For example, their Maritime Soap Dish ($20) and matching Soap Set ($19) can bring a whole new feeling to an otherwise boring bathroom.